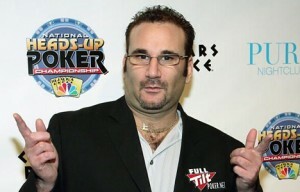 I will soon write an article on poker pro Mike “the mouth” Matusow. One of the complaints that poker players have is that there are not as many characters playing the game as there once were. In years gone by there have been many eccentric poker players such as Amarillo Slim and Puggy Pearson but with more and more poker being played behind a computer monitor these type of players are dying out. That said one of poker’s biggest characters in recent times is still going strong and should be playing in several of the upcoming WSOP poker tournaments, I am of course talking about Mike Matusow. Matusow was born on April 30, 1968 in Los Angeles, California and is almost as well known for his trash talking (hence the nickname “The Mouth”) and his inexplicable blow-ups deep in major tournaments as he is for his poker playing ability. When you take away his brash and often crude demeanor at the felt you are left with a player who has won more almost $7,800,000 from live tournaments and had no fewer than three World Series of Poker bracelets to his name. His first taste of poker came when he was just 18 years old and came in the form of video poker in the Maxim Casino. Here he would play for several hours at a time and even suffered with a repetitive strain injury to his arms and shoulders as a result of his excessive play on these machine. Then in 1989 he met a rounder named Steve Samaroff, who taught him Texas Hold’em, which would ultimately change “The Mouth’s” life. After honing his skills he decided to play in the 1997 World Series of Poker and almost won his first bracelet in the $2,000 Omaha Hi/Lo Split event but fell just short, finishing in second place. Two years later though and he won a $3,500 No Limit Hold’em event at the WSOP and in 2001 he came ever so close to winning the $10,000 Main Event but busted out in sixth place. He won his second bracelet the following year in a $5,000 Omaha Hi/Lo Split event before reaching the final table of the Main Event again in 2005, this time he was eliminated in ninth place. Then in 2008 he won his third WSOP bracelet in the $5,000 No Limit Deuce to Seven Lowball event but since then he has had a rather barren spell both on and away from the tables and was at one point rumored to be completely broke, rumors that were reignited at last year’s WSOP after a huge prop bet with Ted Forrest went horribly wrong for Mike The Mouth. Whether Matusow is so broke he will have to enter some 2011 WSOP qualifiers rather than buy in directly remains to be seen but it sees that he simply cannot stay away from unwanted attention and negative publicity. Just as he was getting over the stigma surrounding his six month jail term for supplying cocaine in 2004 this failure to pay his prop bet comes out of the woodwork.